On October 29, 2018 I stayed in La Roma when I visited Mexico City. 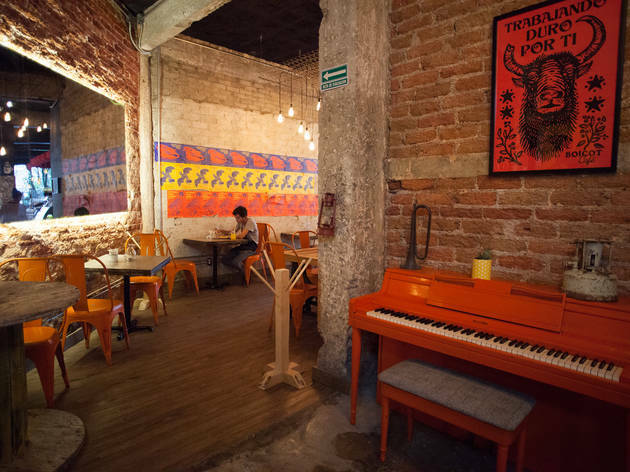 La Roma Norte is known as the coolest neighborhood in Mexico City because of its safe environment, amazing restaurants, coffee shops, bars, parks, libraries, and clubs. Back in the day, La Roma was where the majority of the aristocracy lived so now it has a very European vibe(French), that is still well-kept today. The city looked like a magical forest! It took my breath away! La Roma in Mexico City took me by surprise with its beautiful architecture, style and people. I definitely look forward to staying in La Roma Norte in the future and finding more hipster-run coffee shops/good food! 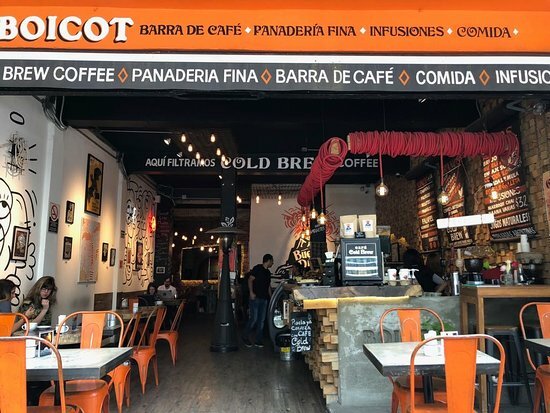 — like a retro looking Coffee Shop called Boicot Cafe and a three story book store with a music venue on top named Cafebreria El Pendulo. I also discovered a modern Mexican marketplace named Mercado Roma that had a 3 story building filled with several bars, good quality restaurants and a rooftop beer garden. I fell in love with the artistic ambiance. The coffee shop zig zagged inward like a huge hallway, where you can find more chairs and tables to work on. Not only was this Cafe beautiful, the food was bomb! I enjoyed a matcha latte with a shot of espresso and a stack of pancakes, but the menu did offer way more than expected. Also, the coffee and matcha in Mexico are to die for! I have yet to find a better cup of coffee anywhere else in the world! This three story bookstore/coffee shop was beautiful and only a block down from where we stayed. The bar and venue at the top was something unique that you don’t see in the states very often or even at all. The Cafebreria could definitely be my chill spot because of how close and cool it was inside. So this is probably one of the coolest places to hangout with friends on a weekend, or if you’re in Mexico then any day! We visited the Mercado Roma on a Thursday and the bars were pretty crowded. Once you enter, all you see is small food stands (similar to the Anaheim packing district or FoodLab in Riverside) and towards the back is the bars. This place was huge, the second floor had an elegant restaurant but the third floor was my favorite because it was a biergarten. P.S. 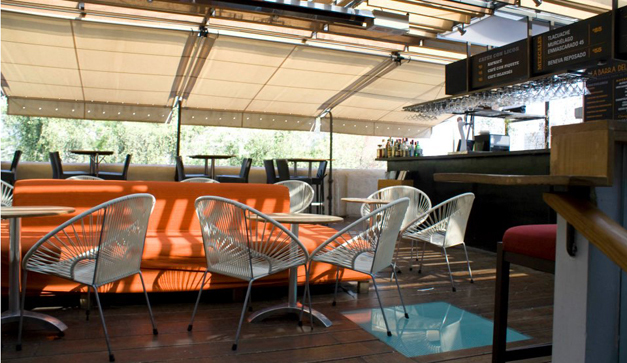 If you decide to go on a weekend, the top floor hosts dj parties. There is no better way to explore Mexico City than by foot. I found these cool hangout spots by simply walking around and getting familiar with the city. But I encourage anyone to visit the beautiful and artistic city of La Roma Norte, Mexico City. Thank you for reading! That book store looks INSANE. You went to so many cool places!